Kang Dong-Goo (Kim Jung-Hyun) dreams of becoming a movie director, but he is cynical due to bad luck. Cheon Joon-Ki (Lee Yi-Kyung) wanted to follow in his father's footsteps and become an actor, but he is now just a minor actor. Bong-Doo-Sik (Son Seung-Won) came to Seoul to become a scenario writer, but things have not been easy for him. 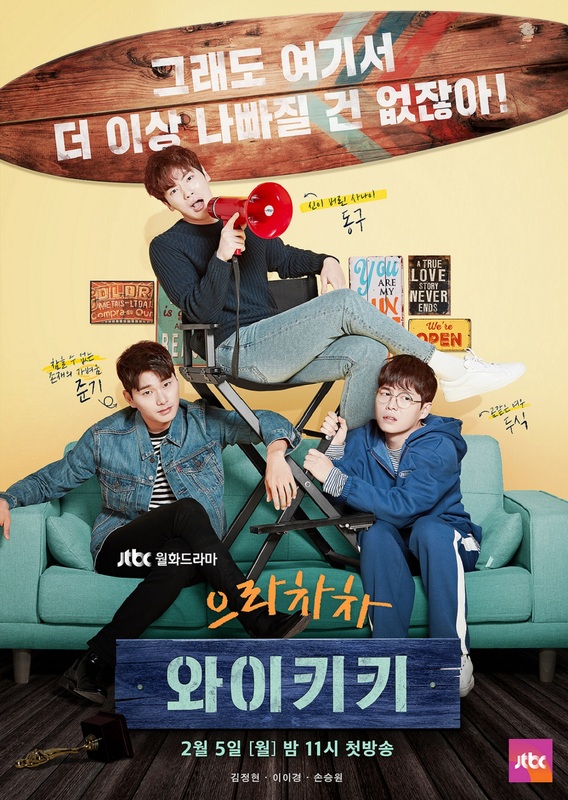 "Eulachacha Waikiki" takes over the JTBC Mon & Tue 23:00 time slot previously occupied by "Just Between Lovers" and followed by "Clean With Passion For Now" April, 2018. Ryu Hwa-Young was first offered the major supporting role, but declined. Frst script reading took place December 18, 2017 at JTBC building in Sangam, Seoul, South Korea.